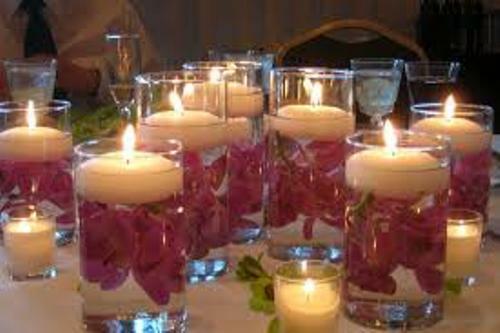 Before you make the centerpieces with candles, you have to know the color of wedding candles to choose. 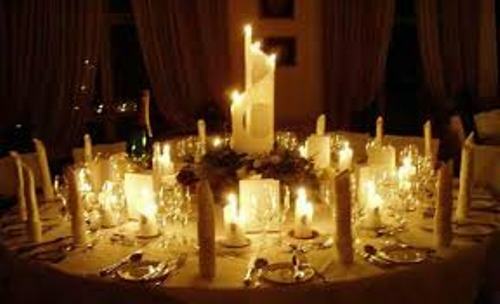 You can have the candles in white color if the wedding reception is decorated with too much white. If you want to make it bold, the red candles are good to choose. You can infuse the candle decoration with the flowers. There are many kinds of silk flowers that you can buy on the florist. It can save you from spending a lot of cash. 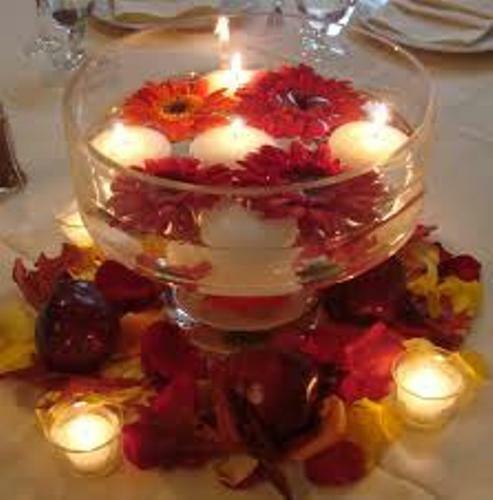 You can use the exotic touch on the candle centerpieces with petal of roses spreading around the candle bowl. If you want to give engaging look, the silk flowers with tulips, orchid or calla lilies are great. Get more ideas on how to arrange wedding table flowers here. Now you can prepare the glass bowl. You can place the faux vines inside the glass bowl. Then you can place the sparkling candle inside. It can give the elegant effect. If you want to use the candle as the focal point on the table, you can also decorate the bowl with other different sizes of vases filled with candles. 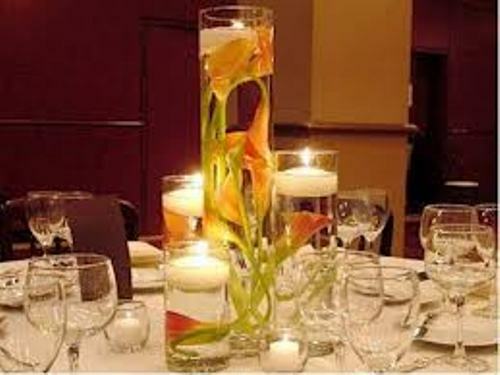 To make the candles look floating inside the glass vases or bowls, you can fill them with water. It can be 0.5 inch from the top. Then you can spread petals of flowers on the top of the water. After you have decorated the bowls and vases, you can place them in the center of the round table. If the table is in rectangular shape, you can have three or four vases located on the table. 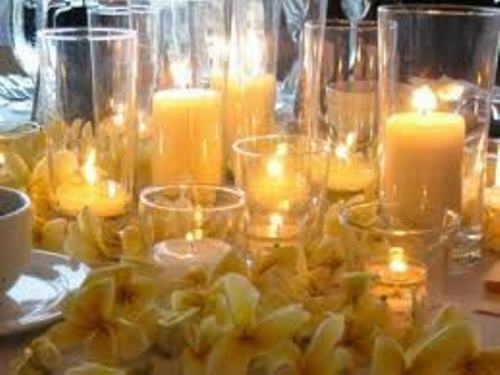 Do you have more steps on how to make wedding centerpieces with candles?